A negative way of thinking can hold you back from taking a step closer towards your dreams. I was having a conversation with a friend of mines that I made from YouTube. We both are natural hair YouTubers and have been supporting each other for years. I reached out to her last week for advice. I felt that the growth on YouTube was becoming stagnant. My subscriber count was slowly growing, but my videos views didn’t grow past a certain number. I started to find fault with my video content that I have placed so much time into. My friend lets me know right off that I need to quit being so hard on myself. I was always expecting something to happen when I should just let things happen naturally. She asked me if I was in some way comparing my videos and videos to another YouTuber and I was guilty of it. That got-damn comparison trap caught me slippin'. The comparison trap caught me during one of my most variable times. I was feeling uninspired and frustrated with doing hair product reviews for my channel. I have had times in the past by filming videos that made me feel like the whole vibe was off. Let’s just say I was having that type of week. I felt like I should have been creating bomb blog content or working on my book. Either way, I knew that I wasn’t spending my time devoted to my favorite passion and that’s writing. Okay, now let’s think about it like this every goal that we wish to achieve has a starting point 50% chance of success and 50% chance of failure. On the other hand, most people take the time to focus on failure and increase it in their mind to 80% and more! If we can be honest right now, there is no reason to support the habit of negative thinking. Negative thinking is a habit that repeats itself often. If we are afraid of failure and allow limiting thoughts to direct our life we often do not set out to accomplish all of our goals. There will be times that we do not want to disappoint ourselves and other people. We secretly may fear rejection. No one wants people to criticize and ridicule them in case we fail. In fact, it is these types of fears that can prevent us from accomplishing our goals and even success in life. I had to take a step back and reevaluate how I was thinking about myself and my efforts. I remapped my time devoted to my YouTube channel every week and place that time into writing. I’m a stay at home mom and my baby is always going to be my priority. When I have free time or whenever my husband is home from work I can split some of my time by sticking to a tight schedule to both creating content and writing. I did it want for one thing to suffer because of my lack of multitasking. 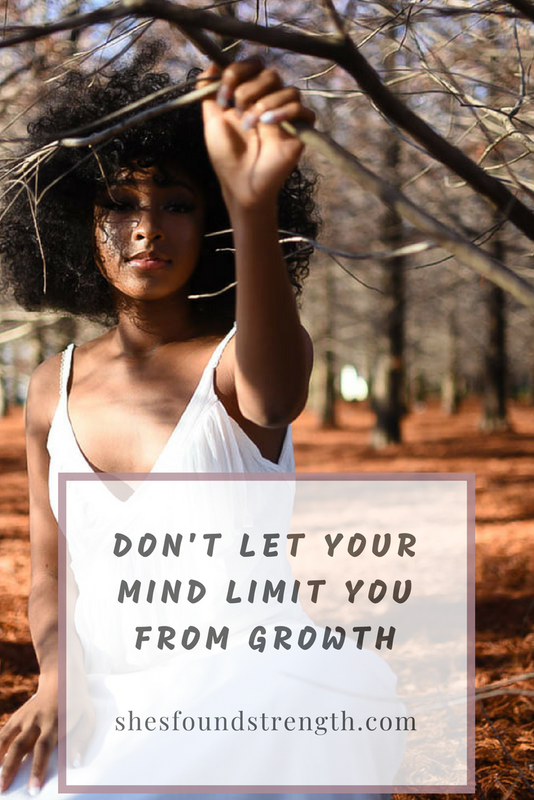 I had to get out of my mind and stop creating mental limitations for myself. There’s not going to be a pity party thrown on the behalf of my putting off. When you understand time and season- you envy No One! Start by acknowledging your fears and become aware of your limiting thoughts. Stop creating bad scenarios in your mind of what could happen. Create room in your mind for a positive and upbeat attitude. Keep track of your short and long-term goals weekly.